Create, Share, Enjoy! On the road less traveled. 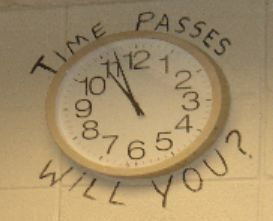 Spring is almost here and soon your hard work will pay off as students graduate or move into summer internships. The value of the work-based learning experience is the result of many hours, if not days, of preparation, beginning back last year when your introduced your students to the concept. The Automotive Youth Educational Systems (AYES) school-to-career model outlined in this blog is road-tested, known and widely supported by industry leaders. The AYES model is based on the European apprenticeship and was introduced by Jack Smith, then Chairman of General Motors, in 1995. 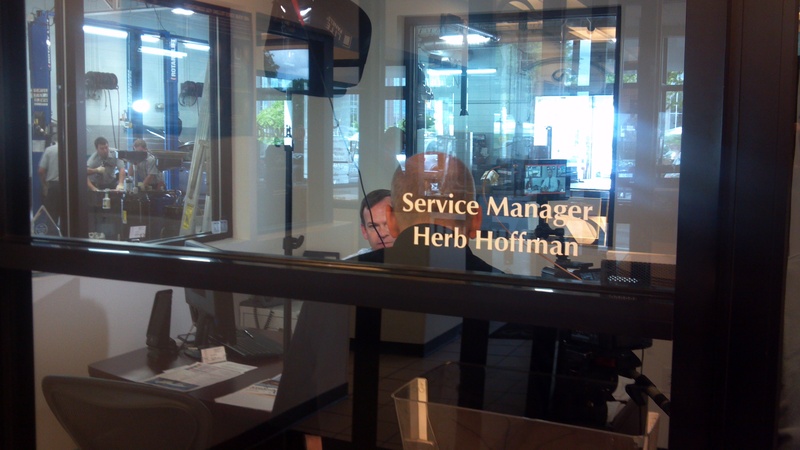 Since then, AYES has evolved to be the industry-wide model for the automotive service industry. Read what NADA has to say about AYES NADA ROI If you are a employer reading this check out the intern value calculator on this NADA post. A good mentor, like a good teacher, is hard to describe. We are asking he/she to be amazing at times. You are a teacher and you have many students and a facility to keep up, but you also have support people that help you and provide structure. We are asking the mentor to teach and make their living at the same time. The mentor may have issues with their life at times also that affect them. You, the teacher, also need to be available to the mentor and intern for support when needed. See Advisory for more on Advisory committee development. Let’s assume you have a good working Advisory Council that supports you and your students. If we look at a time line See link to calender we would see that the August, September meeting would be a good place to start the hunt for new mentors. These individuals are not hard to find, yet they can be difficult to develop and turn them into stakeholders. During your visits to the franchises and retail shops in your area of operation, get to know the technicians and managers. Discover the ones that have the attitude of a mentor candidate. Look for leadership and patience, someone who is a professional, that replicated/cloned would be an asset to the business, and the community. A role model so to speak. They come in all sizes and ages, but the defining attribute is they like people and want to give back to the community the best their craft has to offer. Good mentors are teachers, probably the best example of a teacher there is. All truly good teachers are mentors. Selecting mentors is a challenge to match each one to the right intern. It takes a lot of time and is not something you do with form letters or phone calls. You have to study people, personalities and emotions. AYES model gives you access to the documents, forms and manuals that cover every aspect of the school to career process with proven methods that work. No reason to roll your own or reinvent the wheel. We know what you need and have a proven plan for success. We know you will have problems placing 17 year olds. We have best practices we can share for that. We know you will have problems getting the attention of the right people at the businesses. We can help with that also. I feel this summer internship in the AYES model becomes the most important experiential learning experience the student will have in secondary education. It is learning at the Master’s elbow in a contextual environment that can’t easily be reproduced in an academic based education system. It gives the student the experience without the dangers associated with winging it on their own in a career that in my opinion is unlike any other. 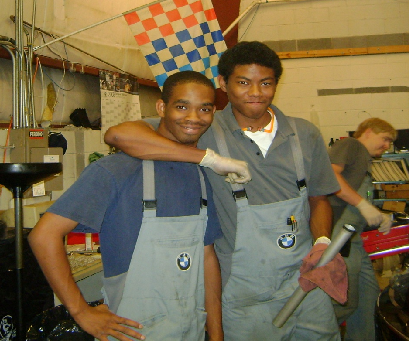 Always be mindful of their time…..
2008 L to R, Josh, AYES Intern, Levon Tarver BMW Tech AYES Graduate, in background Shane Brown, BMW Master Tech and AYES mentor to Levon and Josh. Josh is @ Butler BMW in Macon Georgia Levon is now the instructor of the automotive program @ Hutchings Career Center in Macon Georgia. 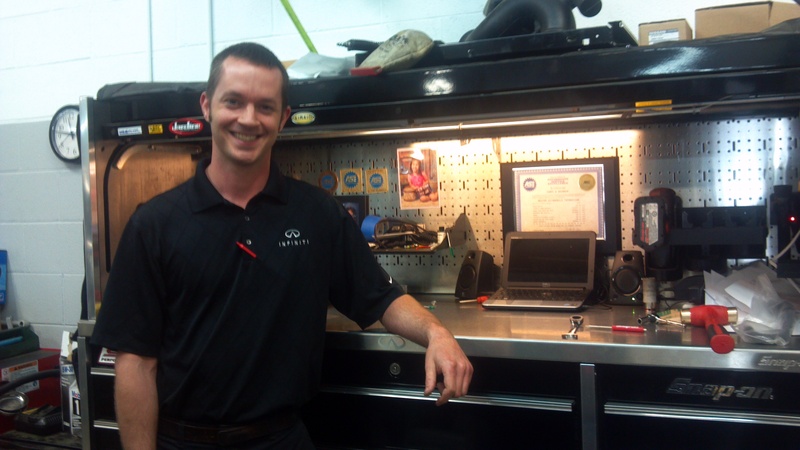 Levon started as an intern with Butler BMW at the age of 16. Josh started at 17. 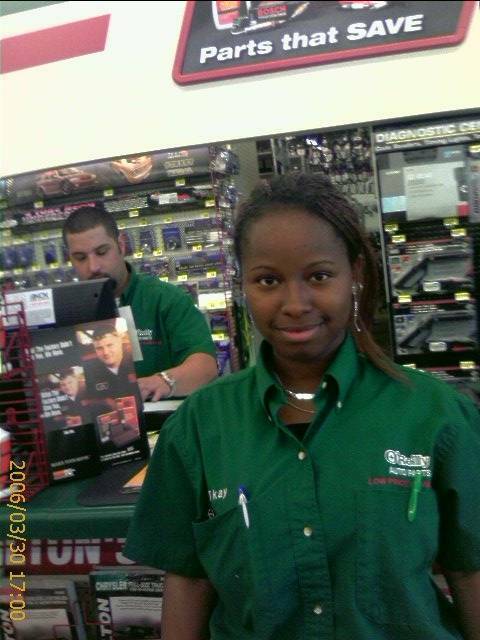 The service manager and owners took the time to look past the chronological age and saw the value in these teenagers. His story is remarkable. Read More About this young mans accomplishments. George explaining the GM service information to two job shadowing students. GM and many of our Alliance partners share service information with NATEF schools using the AYES model. These stories are not unique to my experience. Instructors using the AYES model across the nation see success and sometimes problems. We welcome you to join with us to develop the next generation of students in the transportation industry. AYES model is open to any NATEF accredited Automotive Collision, M/HD Truck program in a secondary school. Transportation Education Foundation of Georgia organizes the Career Expo for the Georgia State SkillsUSA Conference to be held March 21, 22 @ the Georgia International Convention Center. This is one of our best kept secrets in Career Education. You and your company need to be involved in this awesome gathering of career focused young people. The 2012 SkillsUSA Career Expo and Championships was a huge success with over 7,000 participants. TEFGA _2013TEFGA Fact Sheet helped to organize the largest student focused career expo in the state, in which for two exciting days students are able to explore different career opportunities within the transportation fields, network with industry representatives and discover the options available for post-secondary education. The best students from across the state competed in competitions to test their transportation knowledge. 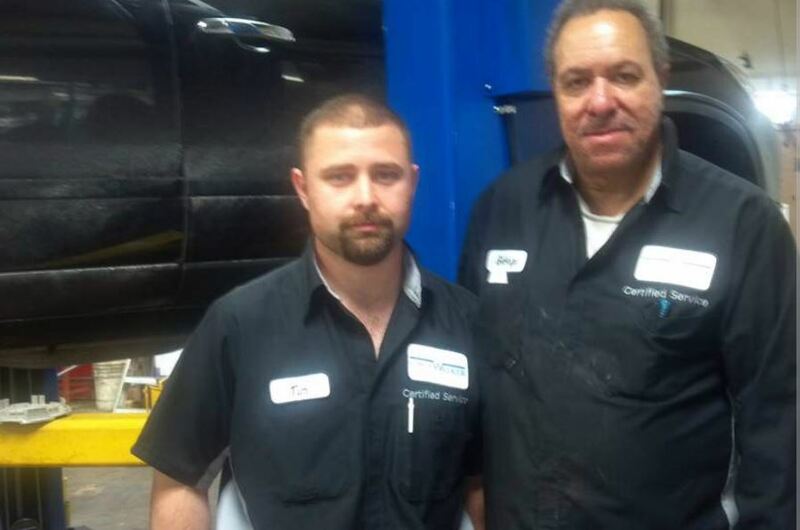 These contests ranged from Automotive Service Technology and Collision Repair to Diesel Equipment Technology to Fight Operations and Aviation Service. Other contests tested student’s knowledge of small engines and marine and motorcycle service. The results were students realizing their goals and being rewarded for their hard work, through prizes, recognition and often scholarships for additional education. To see the top teams in the nation compete http://www.hotroddersoftomorrow.com/ Georgia has three of the top five teams for 2012. To volunteer to work with the expo, To have your company showcased at the expo, To meet some of the best young people focused on technical careers contact Erin.